Does this sound like your military career? I was actually describing what it’s like to work in pharmaceutical or medical device manufacturing. Hopefully, that helps to make it clear that there’s more than just a little crossover between these career options! With such a significant crossover, it shouldn’t be a surprise that you probably have a lot of skills that are transferable across into these industries. When skills are seen as useful across more than one industry, we refer to them as transferable skills. So let’s take a look at 15 transferable skills your military career might have given you that would be of direct interest to a hiring manager within pharmaceutical or medical device manufacturing. For each one we’ve explained why it’s a useful skill to have within pharma, and also asked 3 questions to help you see if it’s a skill you already have. You don’t have to be able to say yes to all 3 questions – saying yes to just one would be enough to know you have that skill. Why It’s Important In Pharmaceutical Manufacturing: Within a manufacturing environment, there are many things that can go wrong and many ways a process can be improved. Having employees who can critically analyze a problem that has arisen and recommend a quick and effective solution will help to minimize downtime. Successful suggestions around process improvement will ultimately lead to a more efficient set-up. Both of these will lead to a more successful manufacturing process. Did you ever look at a process, system or plan and see a better way to carry it out? Did your role involve the analysis of problems and suggesting potential solutions? Was there a time where something went wrong and you had to figure out how to get things back on track? Why It’s Important In Pharmaceutical Manufacturing: Pharmaceutical and medical device manufacturing are highly-regulated industries. You are working in a highly-structured environment where rules and protocols MUST be followed so that make safe medicines and stay safe. Have you successfully followed protocols and sets of rules? Were any of the regular duties of your previous job reliant on closely following a set of instructions? Can you give examples of following a set of rules to ensure safety and a successful outcome? Why It’s Important In Pharmaceutical Manufacturing: With safe medicines as the key outcome, effective leadership is important throughout all stages of manufacturing. Leaders within the industry are required to promote team-working to achieve a common goal, maintain focus on the end product and strictly enforce the regulations of the sector. Did you have any leadership responsibilities within your military career? Even without direct leadership duties, can you give an example of a time where you took the lead within a group of your peers? Were there times you had to take charge of a situation – organizing or instructing other military personnel or civilians? Why It’s Important In Pharmaceutical Manufacturing: Everything about pharmaceutical or medical device manufacturing has a team focus. Effective team-working skills are essential throughout every step of the process and colleagues need to be able to depend on each other to achieve the desired outcome. Did your role require close working with others? Were there times you had to help and support others or where you received such support to ensure that goals were met? Can you give examples of working within a team to achieve a specific outcome? Why It’s Important In Pharmaceutical Manufacturing: The ability to adapt is an important one across most industries, people who can show this trait are a great asset to the industry. Within a quick-moving manufacturing environment, it is especially important. Team members need to be able to react and adapt quickly to changing situations to make sure the manufacturing process experiences minimal disruption. Did your job require you to work in a variety of situations? Have you experienced sudden or severe changes in your work environment that you had to adapt to quickly? Were there times you had to improvise or enact change quickly to achieve the desired outcome? Why It’s Important In Pharmaceutical Manufacturing: This industry makes medicines. Medicines that improve or potentially even save people’s lives. This goal has to remain at the front of all employees minds as they go about their daily duties. No matter the challenges or obstacles on any given day, those working here must be able to focus on that end result as a reason to maintain their drive and quality-focused determination. Do you have experience in completing daily tasks in pursuit of a mission? Did your role require you to maintain a focus on an end goal? Can you give examples of carrying out daily duties that contributed to a greater purpose or mission outcome? Why It’s Important In Pharmaceutical Manufacturing: To keep manufacturing as efficient as possible, all employees must display a good work ethic. Any deviation from this can result in production downtime or reduced output from the manufacturing process. Quality of the final product should always be a primary consideration for employees. Examples of a good work ethic within this industry include individuals being hard working, punctual, loyal, reliable and working with integrity. Can you provide examples of times you’ve shown examples of a good work ethic as outlined above? Have been a reliable team-member in the past? Did your role require you to display the traits of a good work ethic? Why It’s Important In Pharmaceutical Manufacturing: When producing pharmaceutical products or medical devices, teams must remain committed to following a strict structure of manufacturing regulations. They must remain committed to working together to achieve the manufacturing goals. And they must remain committed and take pride in the ongoing quality of the finished product for patients whom they will never know or meet. Did your military role require you to show ongoing commitment? Have you previously shown commitment to a team and its objectives? Can you give examples of taking actions as a result of being committed to a final outcome? Why It’s Important In Pharmaceutical Manufacturing: Within a manufacturing environment, employees need to be able to take quick decisions based on careful analysis of facts and assessment of different options. Within a highly regulated manufacturing environment, it is essential that these decisions also follow the rules and regulations of the industry. Did your role require you to analyze problems and decide on a course of action? Have you ever had to consider different options and reached a conclusion about which is best for the overall progress of a task? Can you give examples of times you’ve had to make decisions in time-critical situations? Why It’s Important In Pharmaceutical Manufacturing: The process of pharmaceutical manufacturing requires strict adherence to quality protocols and standard operating procedures at all times. It doesn’t matter whether it’s the first or last five minutes of your shift, whether it’s the day shift or night shift, whether the supervisor looking over your shoulder or not, team members need to maintain focus and achieve this. Did your military role require strict focus for extended periods of time? Have you had to complete tasks that needed close focus to a set of instructions? Can you give examples of times where achieving a goal has required you to focus? Why It’s Important In Pharmaceutical Manufacturing: Clear and concise communication is essential within the pharmaceutical industry. You’ll be required to communicate technical information to a variety of people and in a variety of ways. The ability to do this quickly and effectively is a big asset since failure to do so can result in manufacturing downtime, waste or mistakes which can lead to quality problems that will ultimately affect the health of the patient. Do you have experience of communicating with people at a variety of levels of authority? Did your role require you to relay technical information in a clear & concise way? Can you give examples of effectively using a range of communication styles (e.g. in-person verbal communication, remote verbal communication, written communication etc.)? Why It’s Important In Pharmaceutical Manufacturing: Even the smallest of mistakes or deviations can have dramatic and lasting impacts on this industry. If deviations were to go unnoticed, the safety of the patients who will take the medicine that you manufacture will be at risk. This is why there are such strict guidelines in place for manufacturing pharmaceuticals or medical devices and why it is essential that everyone involved, follows them with close attention to detail. Did your role require you to pay close attention to details? Can you provide examples of how paying attention to details helped you achieve a goal? Have any of your routine duties been detail-oriented tasks? Why It’s Important In Pharmaceutical Manufacturing: Within manufacturing, almost all jobs require some level of technical skills. It’s not about showing you have experience with any specific tool, instrument or process, but employers need to see that you are the type of person who can pick up technical information and use it effectively. Did your role have any technology associated with it (e.g. using it directly on a regular basis, overseeing the use of it, knowing how to troubleshoot if it went wrong or knowing how to use it in case of emergency)? Have you been trained in any technical skills or processes? Do you have examples of using technology, instruments or equipment to achieve the desired goal? Why It’s Important In Pharmaceutical Manufacturing: There is a lot of project work within the pharmaceutical and medical device industries. As new facilities are built, new products are introduced or manufacturing processes are scaled up – there are opportunities for people with project management experience. Project management can sometimes be seen as one of those illusive civilian-job jargon terms that couldn’t possibly apply to a military career. 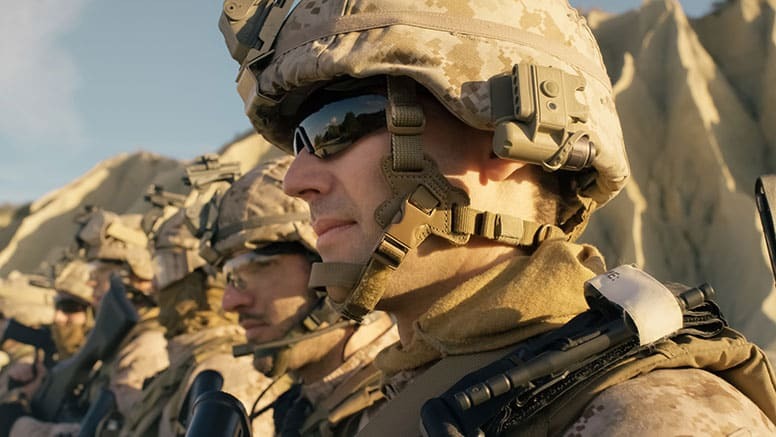 While it might be most applicable for those with more senior military experience, it’s definitely something you should consider whether you have. Do you have experience in coordinating several different things (such as supplies, equipment, communications, and personnel) to achieve a goal? Did your role ever require you to plan a solution to a problem and then work with a team to implement it? Can you give an example of a time you implemented a change and lead people through it? Why It’s Important In Pharmaceutical Manufacturing: Manufacturing is really just a series of processes. To do this most effectively, there is an ongoing effort to optimize these processes or find a better way of doing things. Team members with initiative will be well suited to assessing their role and suggesting ways it might be altered to improve efficiency. They can also be relied upon to act if they see something going wrong or deviating from the planned process. Did your role require you to take initiative and work in a self-directed way? Do you have examples of suggesting a change that led to an improvement? Can you give examples of working independently – making decisions and having a positive effect on the outcome? You certainly don’t need ALL these skills to work in pharmaceutical or medical device manufacturing. But if you’ve answered yes to several of these questions then you probably have a skill set that would be a great fit in these industries. The key is being able to look beyond the duties of your military job and see the transferable skills that you have as a result. Hopefully, this article has shown that you absolutely DO have skills that a hiring manager in this sector would be looking for. And perhaps next time you look at an advert for a job in this industry, you’ll see a whole lot more opportunity. Of course, knowing you have a skill and being able to demonstrate it on a Resume or an interview are two completely different things. But that’s another article entirely.